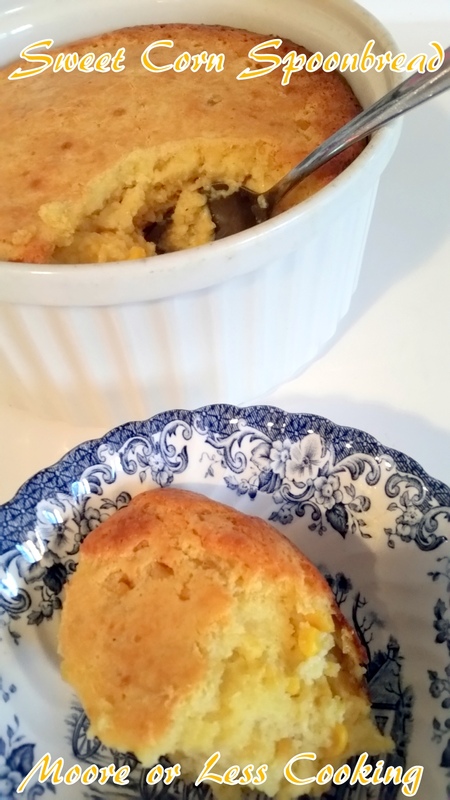 When we lived in New Jersey, our dear friend and neighbor would make us Corn Souffle for Christmas Eve. I have been looking for her recipe for years and finally found it. 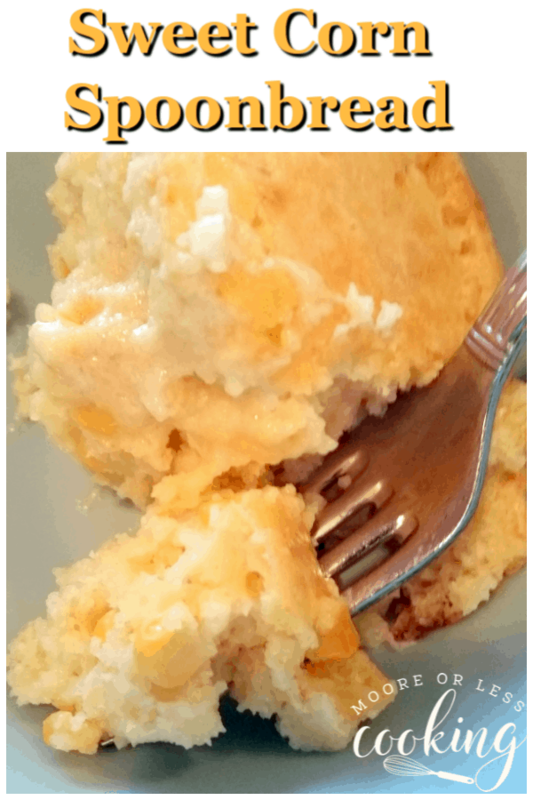 It’s also called Sweet Corn Spoonbread in the south. Being from the west coast, I just know that it tastes amazing! 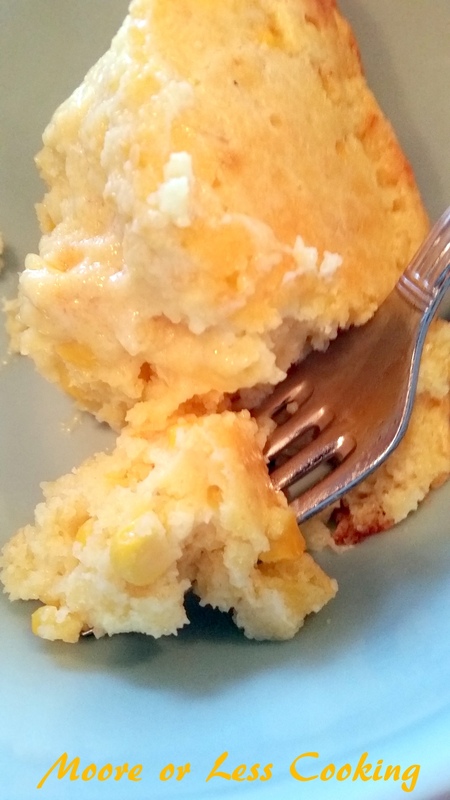 If you love cornbread, you are going to go bonkers over this Easy Sweet Corn Spoonbread! I made it for Christmas Eve supper and when I tasted it, I wanted it all to myself! Too bad my family smelled it and they all wanted to know what I was cooking. It was gone in a matter of minutes! I heard a lot of “mmmmmmm so delicious Mom”! It’s super easy to make and it is now my favorite side dish. Although I could eat it just as my main meal! 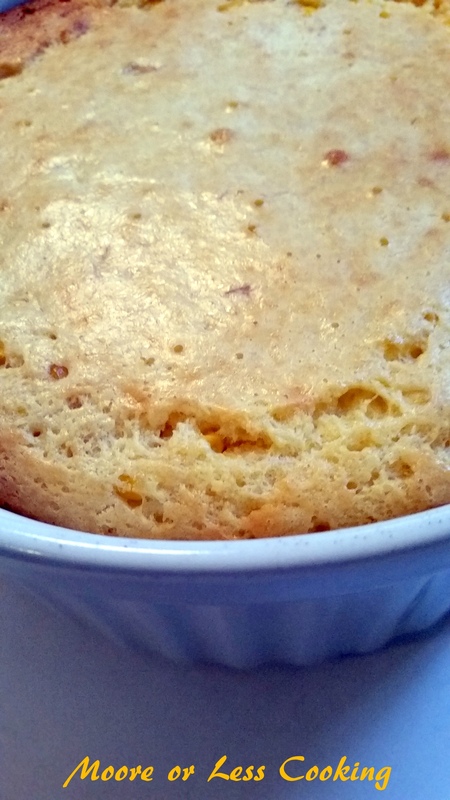 It’s like a corn souffle but so much better! 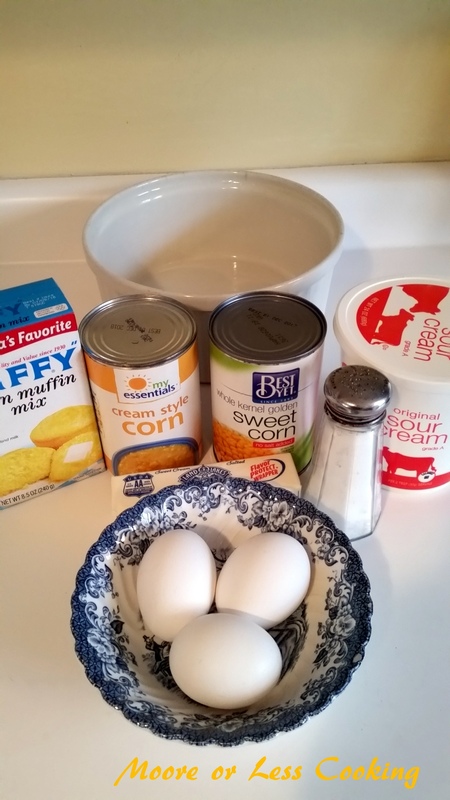 Here’s What You Will Need for this recipe: Jiffy Corn Muffin Mix, Cream Style Corn, Whole Kernel Corn, Butter, Sour Cream, Eggs, Salt. 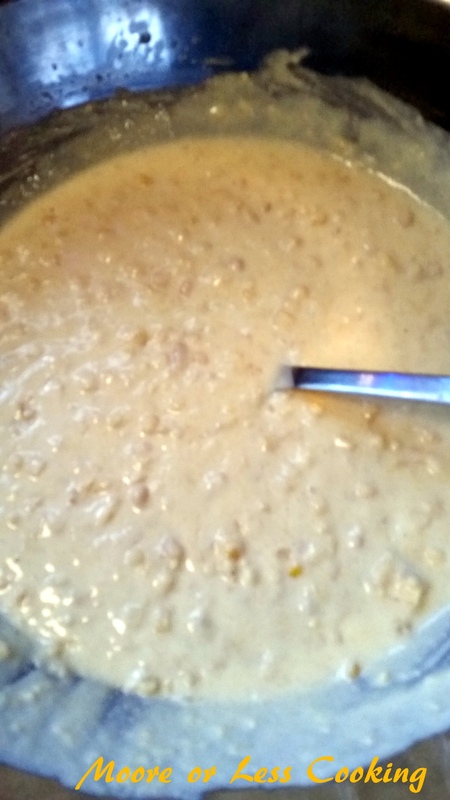 Pour the mixture into a greased 2 Quart Casserole Dish. Bake until the spoonbread no longer jiggles. I’m telling you this is so delicious! You are going to love it! A delicious side dish! Spoon it into chili, serve with soups or just have it as a main meal! Preheat the oven to 375° and grease a 2-quart casserole dish with nonstick cooking spray. 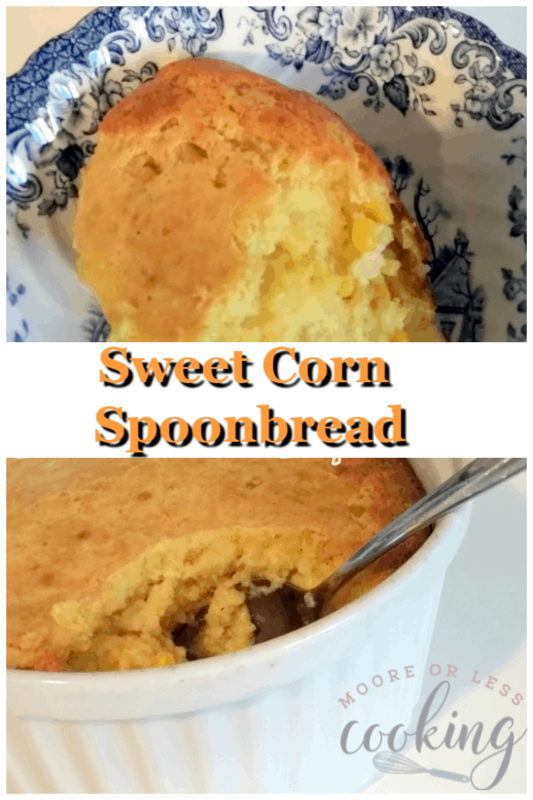 Bake 45 to 50 minutes, or until the spoonbread is set and not jiggly. This the most delicious corn bread pudding I have ever had. Hard to eat just a little of it. thanks Nettie for posting this. 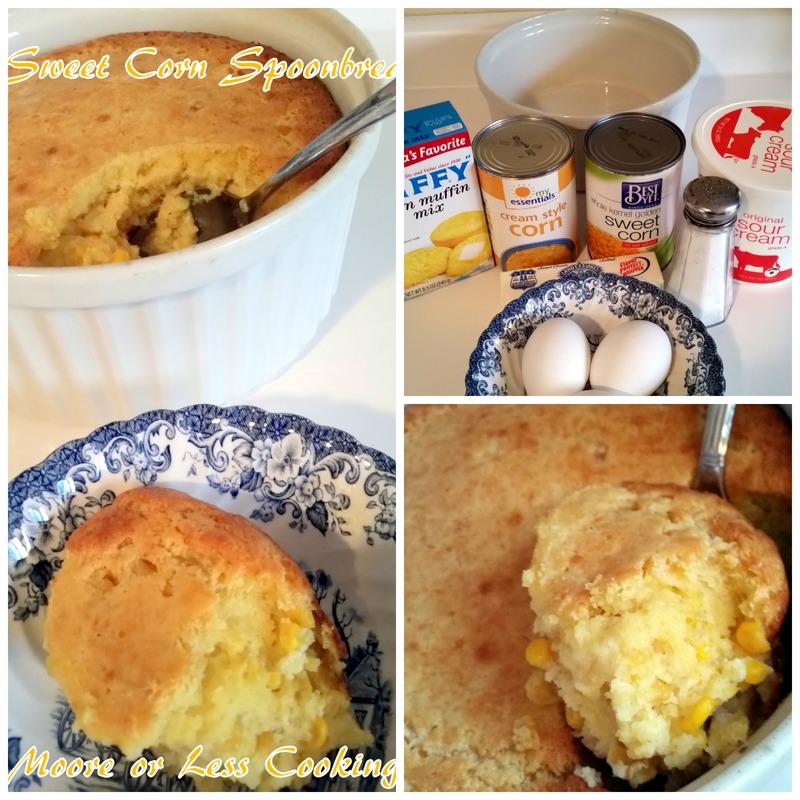 Your Sweet Corn Spoonbread looks fantastic! Thanks so much for sharing your post with us at Full Plate Thursday, we have really enjoyed it. Hope you have a great day and come back soon!